Lewes is located in East Sussex on the south coast of England. It was created in 1295 and has been held by the Liberal Democrats since 1997. The current member of parliament is the Liberal Democrat Norman Baker, who has served since 1997. I come from the area I am hoping to represent. I will make sure that I go into the community regularly. Working with community groups and education establishments. Like most MPs I would run surgeries but not just in my office but in venues around the constituency. 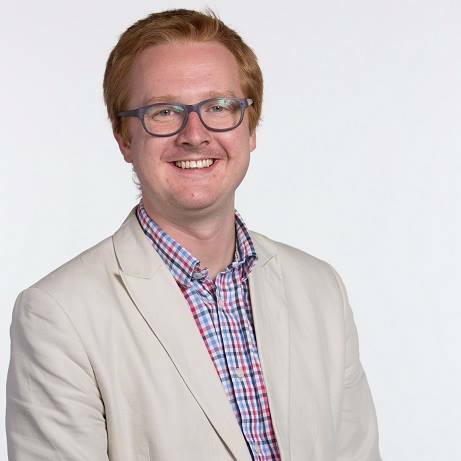 I’m someone who grew up locally, I’ve worked in the youth service, run a cafe, negotiated internationally at UN conferences and even represented the constituency between 2003-2005 in the UK Youth Parliament. I think that he is very passionate on the environment, he was initially good at opposing the Tories but in the last parliament become one of them. No the government needs to invest to get growth and make sure that its fair. It needs to be fair, for immigrants themselves and for people already here to ensure no one is exploited. That’s why plans to make it illegal to under cut wages, clamp down on people trafficking, ensure that firms that employ foreign workers also take on British apprenticeships. Immigration has been great for the UK, and the adjustment needs to be made to prevent local pressures on services. 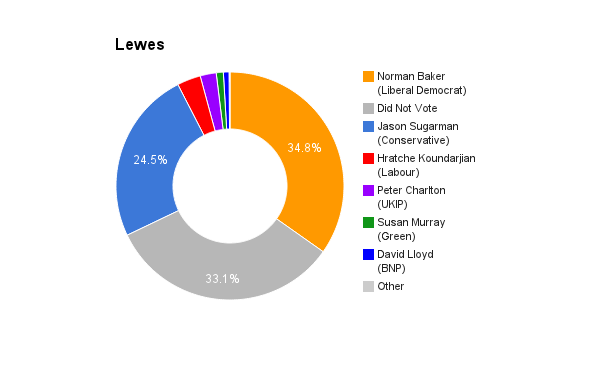 in Lewes Constituency immigration has only be positive. Freeze energy prices, limit rent increase, cap rail fares for a few years, ensure public services are restored. All Labour pledges. Integrate Public, Physical, Mental Health and Social care, limit waiting times and invest in cancer treatment. We will get more doctors and nurses and remove the dangerous changes that the Libdems voted for. We will create a youth jobs guarantee. This will mean that after a year unemployment people will be able to go and do training, an apprenticeship or be given work though job creation scheme. Work needs to be decent and that’s why we will get rid of those nasty zero-hour contracts and raise minimum wage. It can do, I’m particularly worried at the schooling of MPs. 7% of the population went to private school, whilst in the last parliament 10% of Labour MPs did, where as 100% of the Greens and UKIP, 52% of Conservative MPs, 10% of Labour MPs and 41% of Liberal Democrat MPs. Labour is one of the most diverse parties but we need to do more to represent people from all backgrounds. however what’s even more important is that we get our policies right for all people and that’s what I believe Labour will do. I would encourage people to stay in. Norway ends up paying to the EU, and having to follow all the regulations but has no say in how the rules are made (worst of all worlds). We will push to reform the EU but not to leave it and be left out in the cold. Maria works as a Cancer Research nurse at the Royal Marsden hospital specialising in the field of breast cancer research. She lives close to the village of Falmer and is actively involved in the local community including her work as an urban shepherd, being a non-exec director of the charity BHT Sussex and an owner and shareholder of Lewes football club. Since her selection, Maria has been involved in many successfully local campaigns such as supporting health services returning to Seaford with the new day hospital opening in the summer, the campaign to save Cradle Hill recycling centre and meeting the Secretary of State for Transport to promote the case for the upgrade of the A27. 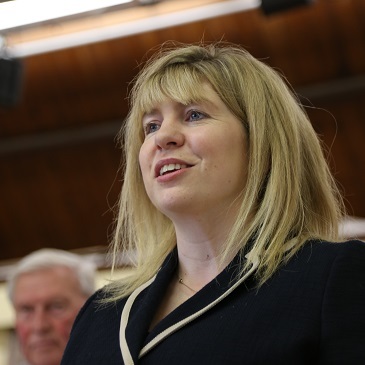 As an MP, Maria would continue this work campaigning on improving poor public transport networks, dealing with the phone and broadband “not spots” in the constituency and minimising the impact of new housing developments on local communities whilst still providing much needed affordable housing. As someone who has not come from a political background and is not a career politician I really do get why people are fed up with politics. I intend to campaign without playing party politics and instead focus on local issues which matter to the local community. When politicians argue with each other they end up just talking to themselves and are out of touch with the public. As a local nurse I have lived in the area for over 15 years so I know the constituency extremely well and care passionately about the area. I hear all the time that people think politicians are all the same and don’t represent the views of ordinary people. Well this is an opportunity for people to elect someone who is local and who does really understand the impact of decisions made in Westminster. There are a number of issues that I disagree with him on such as his stance against upgrading the A27 and his lack of support for Brighton and Hove Albion moving to Falmer. That said he has supported the Save the DGH campaign to stop Eastbourne being downgraded which will have a massive impact on the constituency if it happens in places like Seaford, East dean and Alfriston. The economy is now starting to grow and confidence is coming back. More people are in work and wages are starting to rise. But let’s not kid ourselves that we are out of the woods. We have cut the deficit by a third but not yet dealt with the country’s debt and so austerity will have to continue for a while longer. It is easy to forget what a knife edge this country was on but we only have to look at some of our neighbours in Greece, Ireland and France to see that austerity has worked. It is not easy but it is the right thing to do. I’m the daughter of Irish immigrants, so I have an interesting view point. We need more labour both skilled and unskilled in this country and more people of working age to support our pensions, NHS, schools etc. So immigration is needed but I would like to see it more tailored to the skills we need rather than an open door policy. Talking to farmers in my constituency they are dependent on migrant Labour to get the seasonal jobs done and when they advertise very few British people apply so migrant labour is essential for them. 6. Many people are concerned with the cost of living in the UK, with wages having failed to rise in line with the price of food, energy and rent in recent years. How can this be corrected? Wages are starting to rise and were briefly above inflation last month so wages are turning a corner. Some of the tax breaks, especially for low paid workers mean that overall people are starting to have more money to spend. The best way to speed this up is to ensure the economy is thriving so employers can pay more. Most people I speak to say its not so much the wages that are the concern but job security. Talking to a number of small businesses they say they are now gaining more regular work so feel confident in being able to pay staff wages. This means for the ordinary person they are no longer dealing with the fear of whether they will have a job next moth which was certainly the case about 18 months ago. There are lots of changes I would like to see. There is still too much red tape and paperwork. The one big thing I would like to see if for health services to fit around the patient and not the other way round. I would like to see services be far more flexible so that people are not having to take time off work to see a GP, have X-rays, blood tests, appointments etc. Services should be available at evenings and weekends. We have spent so much money on state of the art equipment and most of the time you can only access it Monday to Friday 9-5. I think we need to give employers incentives. It is far easier to employ someone who is work ready so if we gave extra NI breaks for taking on someone who has been unemployed or never employed this would be a help. We also need better training in schools. I have spoken to some employers who are reluctant to take on school leavers because of the experience of poor time keeping, sickness rates etc. We need to make sure our young people have the skills to compete in the work place. A bad experience with one employee can really disadvantage those from a similar background. In a way but as a working class women I want people to elect me as the best person for the job not the best woman. We need to encourage more people to get involved in politics and offer support for those who come from less traditional political backgrounds but I don’t support positive discrimination. The best person for the job should always be selected and elected. I wouldn’t encourage people to vote in a particular way. I am Euro sceptic but I believe we need an honest debate in this country so people can decide for themselves. We hear too much from the extremes of both sides of the argument and actually most people I talk to are not sure how they would vote. I would encourage people to vote but they must vote with their hearts and heads on such a crucial decision for the future of this country. It is not my place to tell them which way that should be.